Reboot Computer Repairs Tennyson – Have been an expert when it comes to providing the adequate tools and necessary computer and network security setup to protect your financial records, photos, personal emails and your other private data from identity thieves by securing your computer for you. Keeping financial and all other personal information safe and protected from outside intruders has long been our expertise in business of computer and laptop repairs. We offer the most affordable computer and laptop repairs and services for both residents and small businesses anywhere in Tennyson. You can visit our workshop anytime and bring your computers or laptops for us to check and repair. For your convenience, you can also call us at (07) 3155 2002 with no call out fees! Reboot Computer Repairs Tennyson is open 7 days a week from 7am up to 10pm and even on holidays. Reboot Computer Repairs Tennyson offers onsite services for businesses and residents anywhere in Tennyson. The service is absolutely free of call out fees and travel costs! Saving yourself on needing to bring your computer to us, we will deliver our service right in your doorsteps. For all your computer and laptop repairs anywhere in Tennyson, just give us a call and we will be right at your service. In addition to our onsite services, Reboot Computer Repairs Tennyson also offers remote services! This way you no longer have to bring your computer to us and we no longer have to travel to your place. Our experts make use of a special software that allows us to access your computer without you having to bring your computer over. You can always check from our customer reviews whenever deciding whether to give us a call and you will be confident that you will be handing your PC to trustworthy and expert professionals. During the repair and service process, we will always keep you informed about the status and costs so you will not be experiencing unexpected and unpleasant surprises whenever you receive your bill. We also ask for your permission for any additional cost for hardware or parts before purchasing. Encryption of data – We at Reboot Computer Repairs Tennyson will offer you the modern tools that will fully satisfies your data encryption needs. We can set it up for your emails or on your hard drives requirements whether you are using Windows or Apple’s operating system. You can also avail our service to setup an email account for you and show you how to use it! Data backup plans – We provide the most ideal solution for backing up your data. Our expertise extends from local backup up to network storage and cloud backups. We provide custom data backup solutions to perfectly fit the needs of both resident and small businesses as well as to meet your costs and budget. Antivirus and malware protection – Antivirus and malware protection is one of the essential parts in securing your computer data. Reboot Computer Repairs Tennyson provides comprehensive and multifaceted PC security software to protect you from viruses, spyware, adware, hackers, unwanted emails, phishing scams, identity theft and more. You can also check our virus and spyware removal service to more about the offer. We also provide training services to help you learn and get most out of your technology investments. Safe erase of data and hard drives – We can make your old computer’s hard drives unreadable before you dispose them. We perform sanitize by disk shredding, magnetically cleaning the disk and software tools to wipe the disk clean. This will make your private data safe from the malicious access and hands of identity thieves. Safe erase of mobile devices – We also offer safe erase and factory restore of mobile devices in case you have planned on giving or selling your old mobile devices to someone else, particularly someone you don’t know. Operating system updates installation – Our services offers operating system updates installation to ensure that your computer receives the critical security patches that will protect your computer from recently discovered threats. Failing to install these updates means your computer is at risk. It is important to update your computer no matter what operating system you are using. You can check our offer about operating system install and repair to learn more about the service. 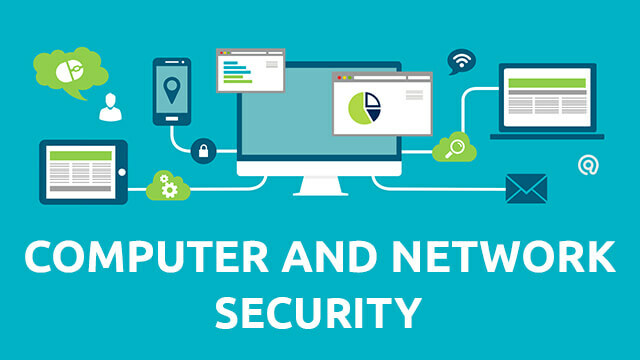 Network and computer firewall setup – The service is a valuable tip for both home and small business owners to have a password secured wireless network. This can effectively prevent unauthorized individuals within proximity to hack your wireless network and steal your resources. We can help you in setting up, securing, encrypting and hiding your network and Wi-Fi access to restrict people on using your network without permission. You can also check our setup a wireless home network service for you home network setup needs. Secured media sharing setup – You need help to setup your media sharing on your home or small business? You are on the right place! We offer a support to help you easily manage and setup your shared files between your machines with security as one of the best priority. We cover service from both hardware and software installs up to equipment setup. We also offer solutions for data backup and transfers. Device privacy settings configuration – Are you lost on setting up privacy for the plenty of apps that you use and wanted to avoid the risk of making your information available in public? We at Reboot Computer Repairs Tennyson are always willing to serve you on your privacy needs. We provide service to help you properly configure privacy settings on any apps you use that provides privacy, enabling you to determine how much and what types of information are shared or stored. We service includes but not limited to Google accounts, Youtube, Facebook, Maps and location services. Passwords and device lock setup – One of the most basic but often being overlooked data protection is password. In events that your device slips out of your pocket in restaurant or other public places, your data can end up in the hands of someone that could use your data maliciously. We can give you service to protect your data by helping you set up passwords on your devices and online accounts, providing software tools to organize and secure passwords, PIN, and two-step account verification. Reboot Computer Repairs Tennyson never fails to provide cost-effective, honest and expert computer repairs. We guarantee you that we can give you the perfect computer repair and solution right in the first time. You can be assured that all our computer and laptop repairs are performed with paramount care. Just call us at (07) 3155 2002 with no call out fees! Reboot Computer Repairs Tennyson is open 7 days a week from 7am up to 10pm and even on holidays.